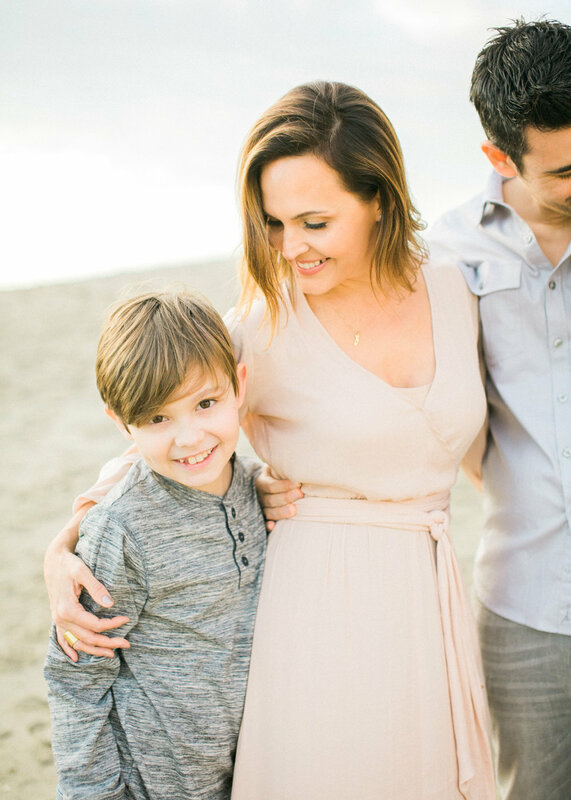 Jen is a super talented photographer based in Orange County, and it was an honor to photograph her with her husband and their boys in Laguna Beach this past winter. After rescheduling a couple times due to rain, we lucked out with the most gorgeous evening and wonderful warm weather. 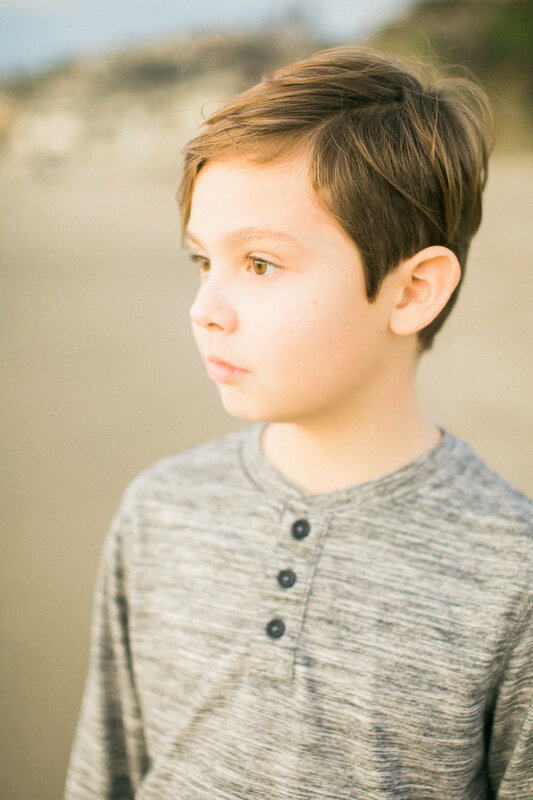 I fell totally in love with this location, and so wish San Diego's beaches had this amazing variety and light! 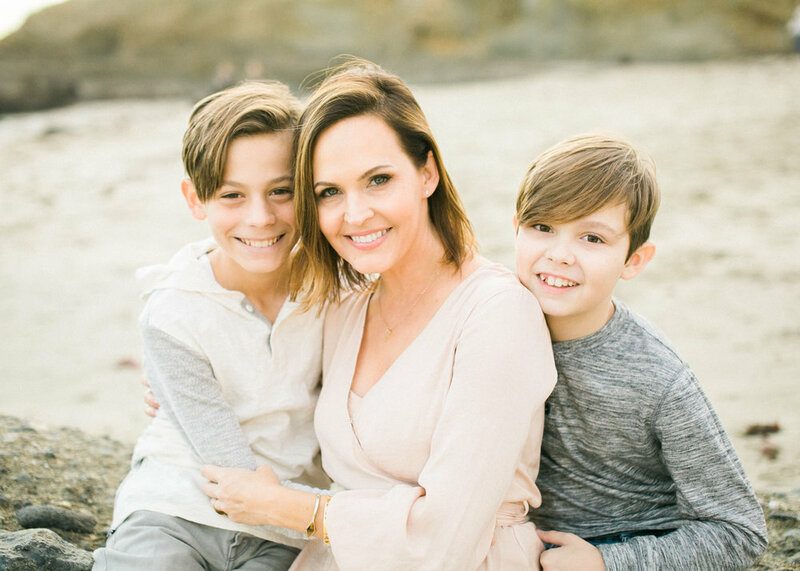 It's actually fairly uncommon that I photograph families with kids older than about six or so - and I have to say, there is no reason your family photos should stop just because your kids are in school or you don't have babies in the house anymore! 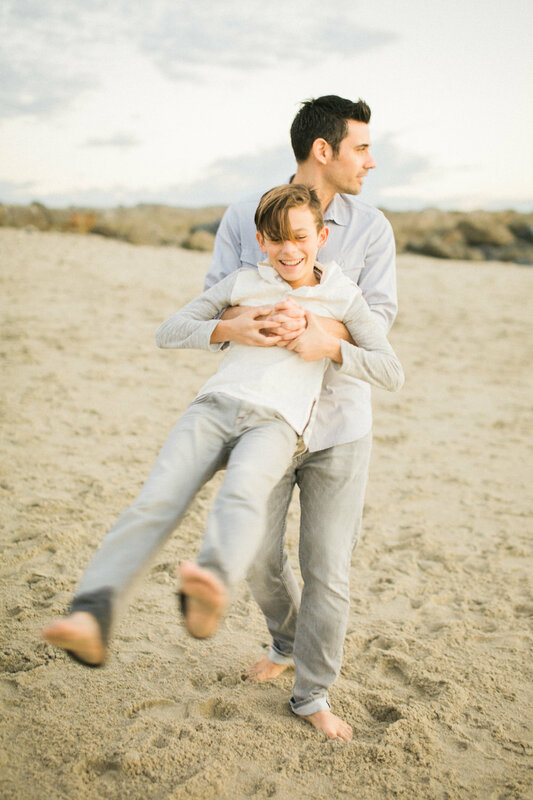 Even though children don't change as quickly as they get older, each stage in your family's life is so worth preserving, and that beautiful love worth remembering.